Now on DVD: For many years now, the single most important professionals in the world have been ignored by our educational institutions: Sales. 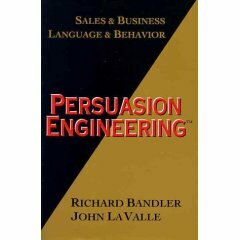 Combining NLP & Design Human Engineering™, Richard Bandler's lastest discoveries in the field of human development, the success patterns that he has been teaching for years in Neuro-Linguistic Programming™ plus John La Valle's innovative applications in the business arena, Persuasion Engineering® provides new insights into the selling process. 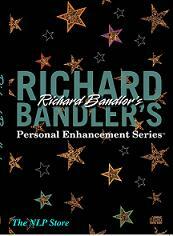 Richard's genius and indepth understanding of how the brain works and how we use our communicating processes to generate behaviors unconsciously stand out on their own and speak for themselves. John's success in business is solidly based on his unique ability to present seemingly complex issues simply. 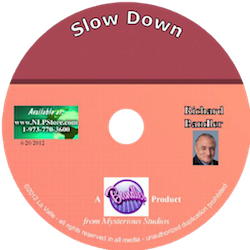 Having studied some of the most successful business people and applying these discoveries, this material is presented for even the novice to understand. It covers everything from the beginning of the sales process through the close. Using everyday human communication factors that are present in every situation imaginable, you can learn to take these factors to engineer your sales approach on-the-fly, as each situation deserves. With so many available sales ideas out there, none of them address the simple, basic and powerful techniques you can learn from this program. For the experienced in NLP™, how does one connect representational systems, meta-programs, Meta Model™ and the structure of language, both verbal and nonverbal, into success? For the novice, how can you learn to use the communication opportunities that are right there in front of you all the time? 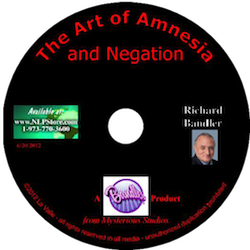 Take the information in this nlp program, use it and you can dramatically increase your income. It is simple, understandable and unrivaled in the field of business and sales.